I know, kind of blows your mind doesn’t it? 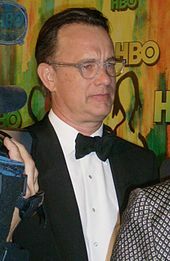 But yes, Tom Hanks is my brother. 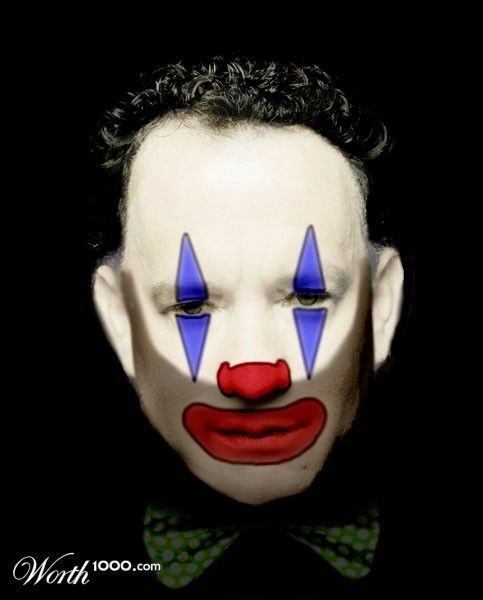 Yeah… THAT Tom Hanks! Wow, you hit that floor like a tub of Bubba Gump Shrimp. You alright? I’d give you more smelling salts but after seeing what the ammonia and spirit of hartshorn did to your nose-hairs, I’d say your nose has had enough. I just figured you guys already knew. Some of my regular readers have known for some time now that Tommy and I are related—relatives are allowed to call him, Tommy—BECAUSE HE HATES BEING CALLED, TOMMY. Hee, hee, hee. Sorry, Tom. Well… Tommy called me and asked if I might not address the issue. I guess a little backstory is called for here, huh? You see, Tom and I grew up in and around the San Francisco Bay Area, a place I still call home. Tom, on the other hand, has since moved to South America—choosing to live in some remote place called… Los Angeles. Initially, we were raised in Concord, California. It’s still located in the East Bay—despite all the earthquakes. What a pair we were… a pair of eyes, a pair of ears, a pair of arms, legs, and feet. But, after all these years, we’re still a pair. A pair of glasses, a pair of gloves, a pair of pants and shoes, but not one pair of socks between us. Seems getting a complete pair of socks out of a washer is beyond us—and perhaps a few other people. WikipediaWhat with having two eyes, two ears, two arms, two legs, and two feet… you might say we were a pair. In fact, Tommy and I still have a pair of everything to go with our glasses, pants, shoes, and gloves—but for some reason, we still can’t retrieve a complete pair of socks out of a washer. Oh, I probably should mention here that although we weren’t the most popular kids in school, we were still pretty good boys—just ask the police. Not being Tom’s immediate brother or even half-brother, but actually, his quarter brother (don’t ask, it’s an impossible math equation) nobody ever seemed to make the connection that we were somehow related—but I think that’s because my nose is more attractive than his. Over the years, being his older (quarter) brother, I’ve managed to keep a very close eye on Tommy—the binoculars have helped. After graduation, I decided on stable employment and pursued my childhood dream of becoming a blogger. But, for some odd reason, none of my counselors had a clue what the hell that was—they thought I was nuts! Tommy, on the other hand, became infatuated with this mermaid and went out and bought a fixer upper. Then a series of odd jobs soon followed. He joined the police department and became a detective’s sidekick. Became a drunken manager of an all woman’s baseball team. And then took a job as an adolescent man-child. Uh, Tommy, how does a person get a job like that? Just asking? Then NASA hired him as an astronaut (with very little experience) and tried to send him to the moon—which ended predictably by the way. However, an opportunity to become a puppet cowboy sheriff has provided him some regular part-time work, but that’s about it. Obviously, these jobs have taken a toll on Tom, because he ultimately went to Seattle to get some rest. Soon afterward, he went to the air terminal to catch a flight back home, but the plane crashed into the ocean and he was stranded on an island for a few years, where he formed this unhealthy attachment with a volleyball named, Wilson—AND THEY CALLED ME NUTS? Then, when they finally let him out of the hospital… he thought he was Walt Disney! The whole experience left him wanting to learn how to fly again, but that resulted in his crash landing on the Hudson River! The poor man just can’t seem to hold a job, and yet I can’t help but feel that my quarter brother somehow is in denial and looks up to me as a celebrity. Probably because of my status as a pseudo emeritus blogger par excellence, who happens to work for free at WordPress. So folks, as a favor to me, and in spite of Tommy’s claim that he’s financially stable, won’t you please embrace him as I do, as my loyal and envious quarter brother? Apparently, it would mean a great deal to him. I have to go now. My two assistants have arrived to help me slip on my new sleeveless jacket.